After posts like this and this, I think it’s safe to say that I am interested in the character of the Devil. Mind you, a large part of that fascination is with how anyone could possibly believe in such a being. Traditionally, Satan is regarded as the ultimate source of evil, and many Christians still see him as such, but I think modern culture has started to recognize the ridiculousness of the character. Steve Wells of Skeptics’ Annotated Bible fame has pointed out how many more people the Bible credits God with killing compared to Satan. It’s also worth mentioning that, in Biblical accounts, the Devil is often in league with God. This is most obvious in Job, but we see a bit of it in Revelation as well. Sure, this is the book where God has Satan thrown out of Heaven, chained up in a pit, and eventually destroyed in a lake of fire, but throughout most of it we see the forces of good and evil seemingly united in the common goal of killing off mankind. 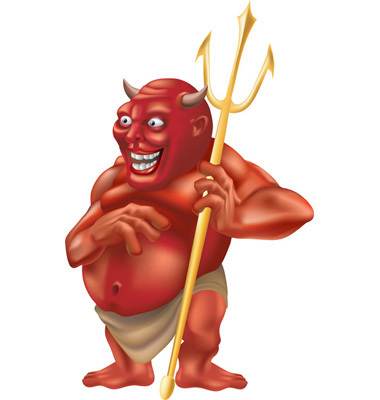 Hell (pun intended), the typical view of the Evil One has him eternally tormenting people who didn’t believe in God. You’d kind of think that, if he’s the ultimate enemy of God, he’d regard non-believers as potential allies rather than torture victims, but no. It almost strikes me that Satan isn’t an enemy of God so much as someone who’s on the same side but rather unreliable. It’s like he’s the unorthodox vigilante who breaks all the rules, but the chief will still sometimes use him when he thinks the only important thing is getting the job done. Another reason it’s kind of hard to Satan seriously as the ultimate evil is that we’ve seen ordinary humans do much worse things than the Devil is generally described as doing. I mean, just look at how many people Hitler and Stalin killed in the last century, and they weren’t fallen angels. Yes, you could say Satan and his minions were working behind the scenes and giving these dictators ideas, but but they presumably still had the option not to listen. 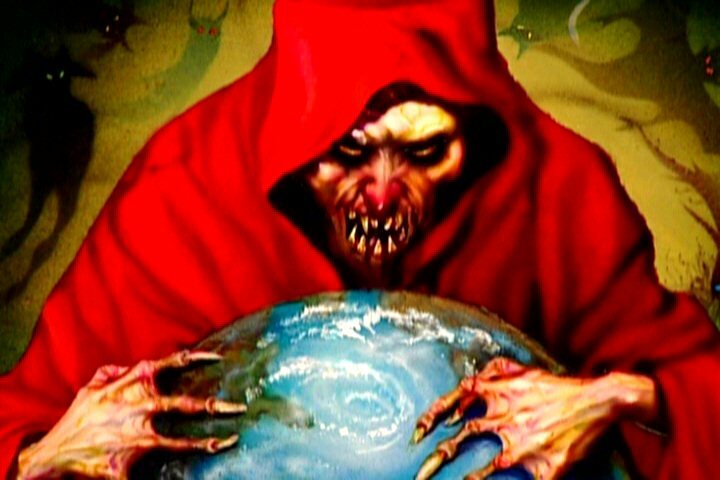 And if the Prince of Darkness is relegated to the role of merely telling mankind to perpetrate the evil they already had in their own minds, he doesn’t come across as being the greatest evil being in the world. 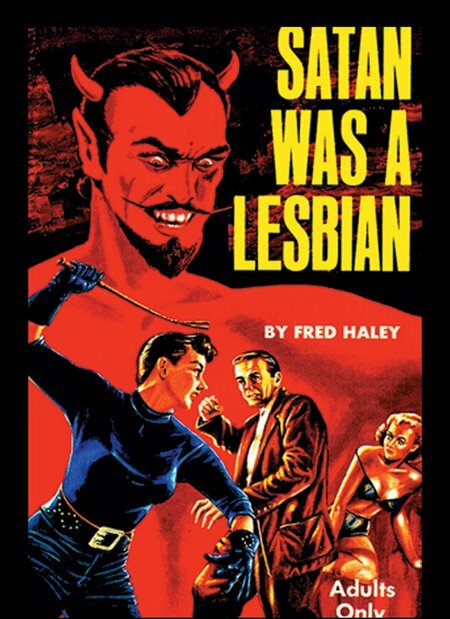 I know the fundamentalists who think Satan is lurking in gay bars and Halloween candy will disagree with me here, but it kind of seems like Satan, even more than God, is a relic of a primitive notion of evil. Honestly, I think this is a good thing, as it means we can look at evil as something anyone is capable of, rather than a magic force spread by a dude in a red cape. Speaking of which, the depiction of Satan as a red guy with goat-like features and a pitchfork was probably terrifying at one point, but now it’s often played up for comedy. This entry was posted in Christianity, Judaism, Mythology, Religion and tagged adolf hitler, adversary, bible, devil, evil, evil one, god, hell, job, josef stalin, lake of fire, lucifer, revelation, satan. Bookmark the permalink. 4 Responses to What the Devil? DO IT! In this case because the devil (ie The Lone Power, the fallen “angel” who abandoned the other Powers That Be to do Its own thing) is indeed a very nuanced and interesting character, the villain but not necessarily completely on The Wrong Side (It’s thing is that It invented Entropy). SERIOUSLY JUST IN GENERAL IT IS GOOD STUFF. Anyway, I think you miss the point with “God kills more people than the Devil does” though. The idea of the devil at work is the SNEAKINESS of it. The devil is Iago to humanity’s Othello. The idea is that YOU DOOM YOURSELF by giving into temptation. Though I am a Believer in the general sense, I don’t believe in a devil-as-person (though being a Young Wizards nut I do tend to refer to Things That Will Lead Me Astray as “The Lone Power at work”), but I think the various personifications of Evil throughout mythology are interesting and good examples for understanding how doing The Wrong Thing can sneak up on you. The silly red goat-man thing is an annoying simplification of a truly interesting concept though. Before or about the same time the Horned God version of the Devil popped up, people believed that devils and demons couldn’t actually take physical form, but could only possess people–alive or dead. So demonic possession in live people was the whole exorcism/Rituale Romanum (http://www.themystica.com/mystica/articles/r/rituale_romanum.html) bit, and possession of corpses was the excuse for vampires and revenants. So vampires back in the Middle Ages and Renaissance were essentially demons using dead bodies to cause harm, rather than the “living” dead. Incubi and succubi were I think the only demons that took some kind of physical form–or at least ethereal–and they weren’t able to produce so-called demon spawn at all. They took female form and stole men’s sperm and then took male form and put the sperm inside women. I’m guessing this was a handy excuse for women to explain why their newborn babies looked more like the blacksmith down the street rather than their husbands. So, anyway, I guess what I’m getting at is that while devils and demons could persuade or take some form of control over humans, it was really the human who did the evil acts. If you were possessed, you were either too weak in your faith, or so strong in your faith that the Devil/Satan was evil enough to try to get a saintly soul into Hell, since holy people were in a way more “valuable” to Satan as damned souls than anyone who was regularly evil-minded. The Temptation of St. Anthony is a pretty popular literary and artistic example, second only to Faust.